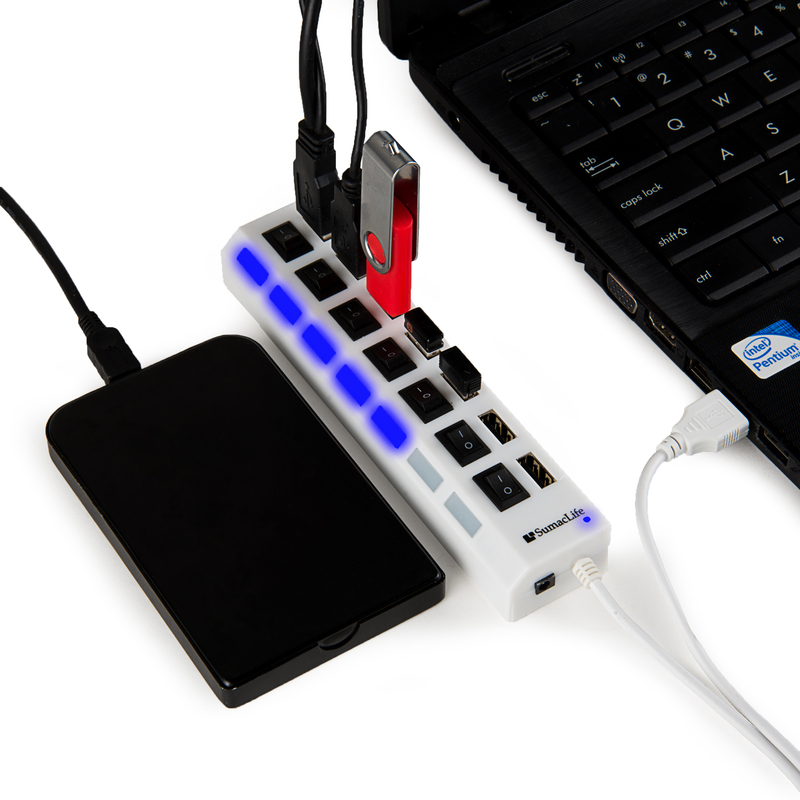 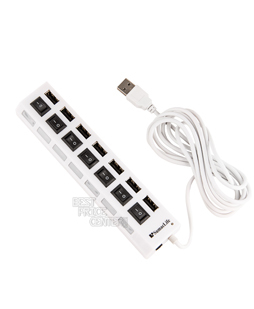 This 7-port USB data hub can instantly expand 1 USB port to 7 external USB data ports for keyboard, mouse, printer, hard drivers and more USB devices, syncing data at blazing speeds up to 5Gbps in no time. 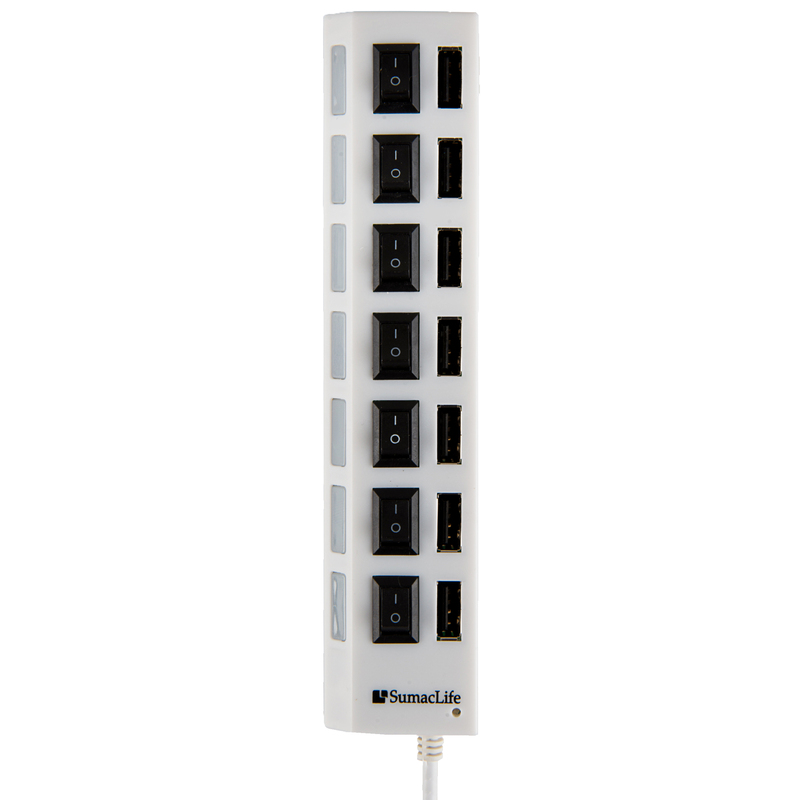 Besides 7 SuperSpeed USB ports, this offers a charging dedicated port, which is able to charge your iPhone, iPad faster and safer. 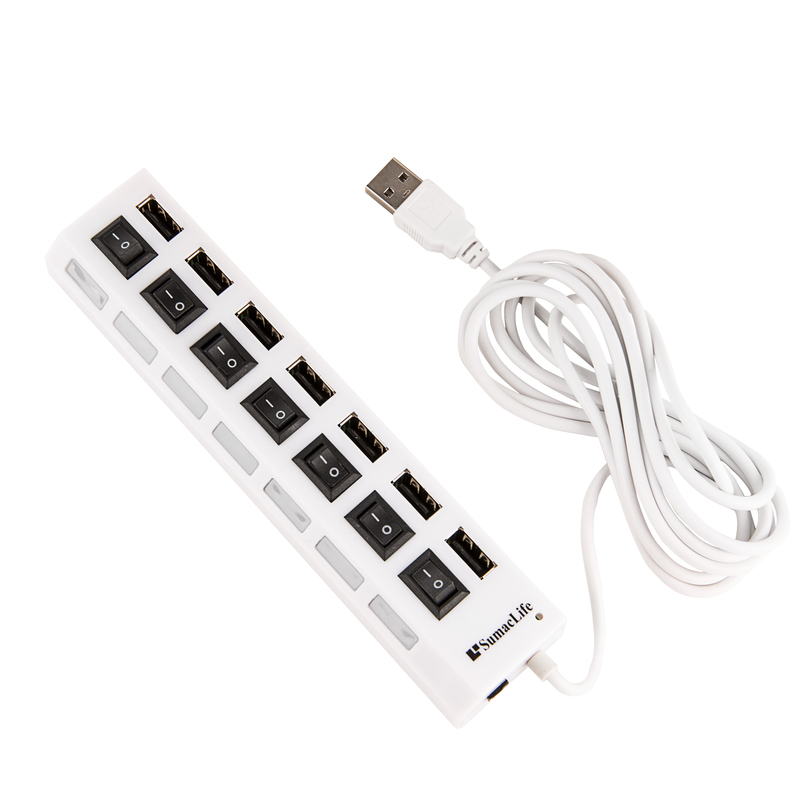 With the 5V/4A power adapter, it can not only provide charging power up to 2.4A but also make data transferring more stable. 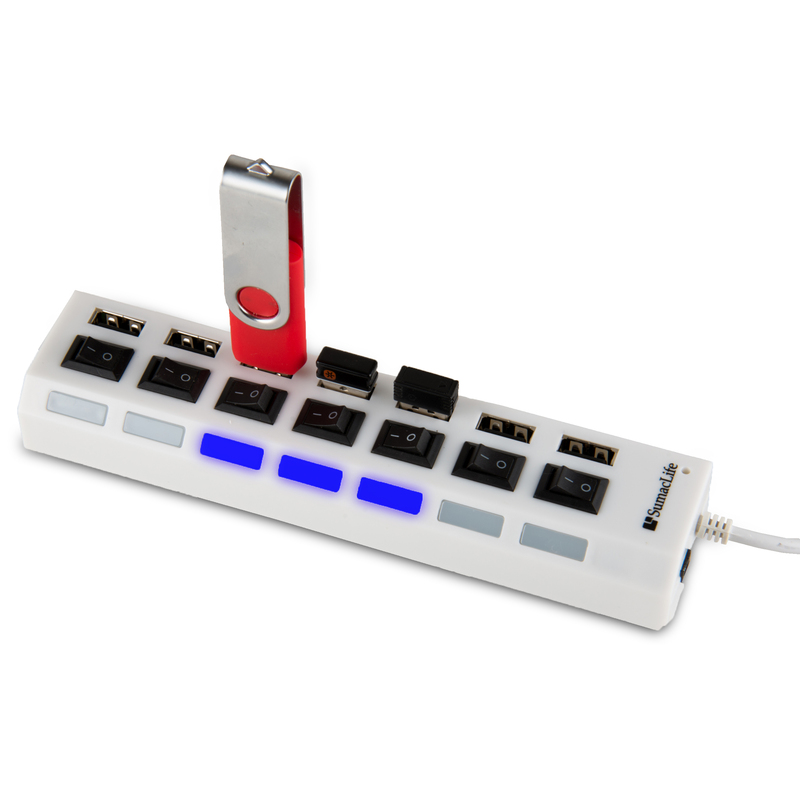 Equipped with individual on-off switches to control each USB port, it allows the USB hub to save the trouble of unplugging devices and help place them more rationally when you don't use them. 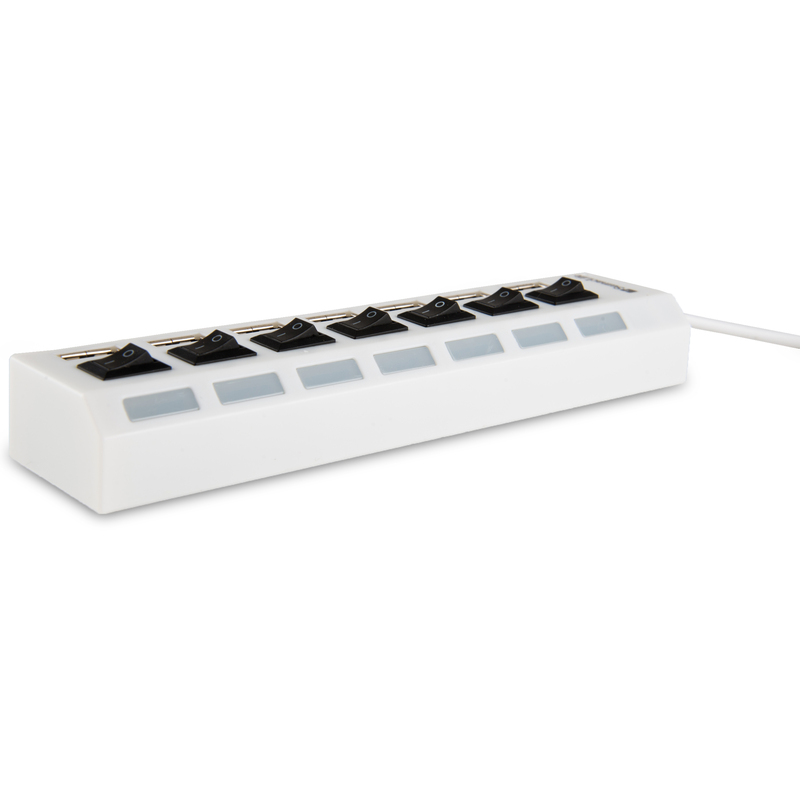 With LED indicator for power status, supports over current and instant current protection, protect the connected devices and itself .